I often wonder why so many healthcare companies are in the Boston area. 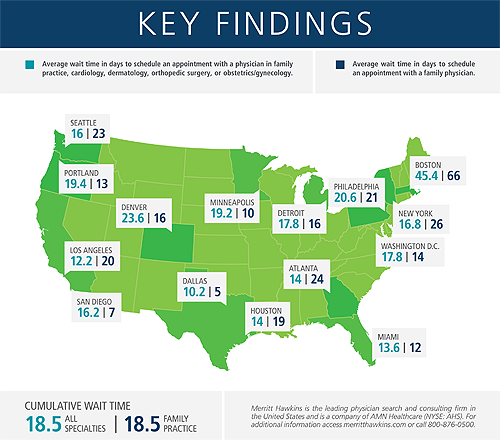 These two set of statistics from the Merritt Hawkins study on physician appointment wait times paint an interesting picture. 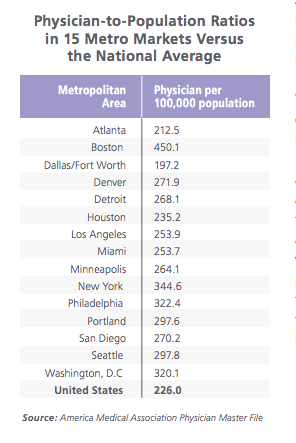 First, you have the fact that Boston has the highest ratio of physicians per 100,000 people. Almost double the US average. On the other hand, it takes you the longest time to get access to a physician. I’m a simple person. This doesn’t seem to make sense. I could say that lots of them are working in academia or in companies and not actually seeing patients. I’m sure that explains some of it, but I can’t imagine all of it. 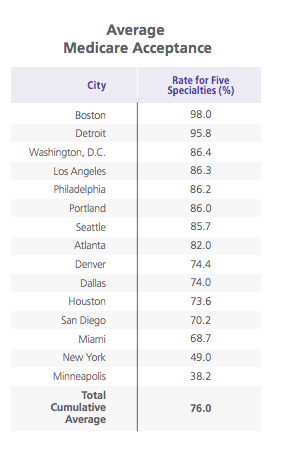 It’s also interesting that Boston also rises to the top of the list in terms of Medicare acceptance. Is There Evidence To Support How Often To Go To The Doctor?